“This bright British talent creates clothes that redefine ideas of ethnicity and gender“. Informed by broad research that encompasses critical theory, composition, literature, and historical sources, WALES BONNER explores a distinctive notion of luxury via a hybrid of European and African approaches. 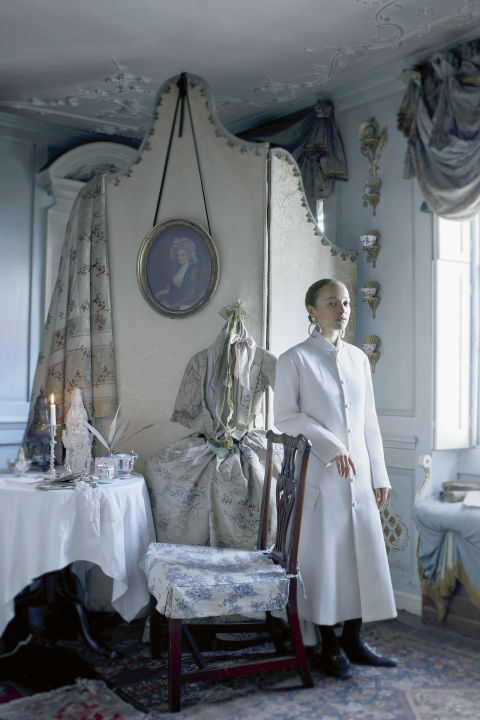 Grace Wales Bonner graduated from Central St. Martins in 2014. The following year Wales Bonner was awarded ‘Emerging Menswear Designer’ at the British Fashion Awards, and shortly after that in 2016 she received the LVMH Young Designer Prize. Obtaining wide recognition, Wales Bonner has presented at the Serpentine Gallery and the Victoria and Albert Museum, whilst also lecturing at Parsons in New York. Wales Bonner international stockists include Dover Street Market, Selfridges, 10 Corso Como, and Joyce.